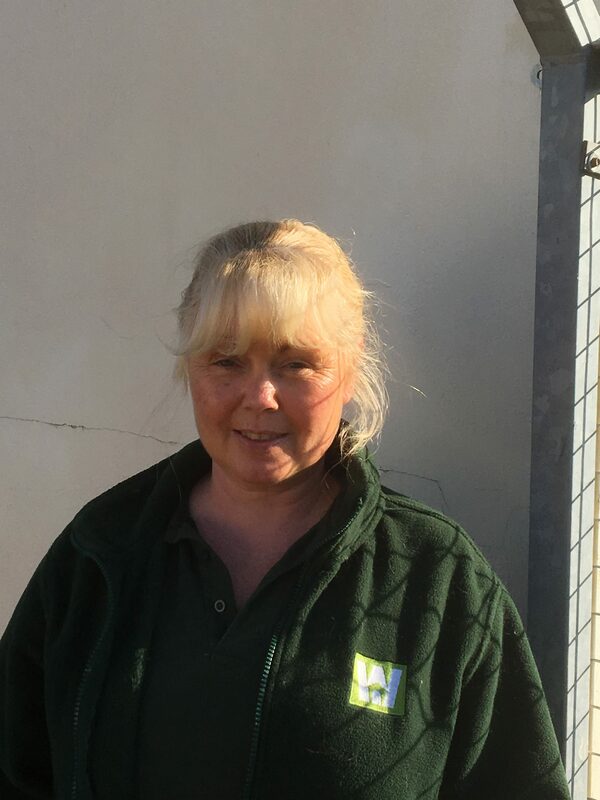 Welcome to the 5 star Witherley Boarding Kennels and Cattery, providing a warm and comfortable stay for cats and dogs in and around Warwickshire, Staffordshire and Leicestershire. 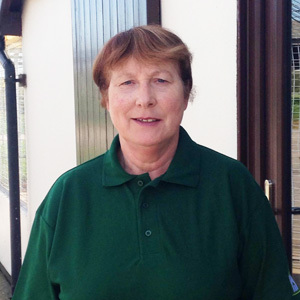 Our impressive centre was established in 1969 by Robert and Helen Trivett, and their 6 dedicated staff are passionate about animals and will give any pet entrusted to them 1 to 1 attention. 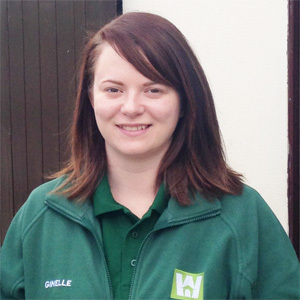 The team have many years experience between them and one member lives on site, so rest assured that when you can’t be there for your pets, we’ll give them a home from home until you return. 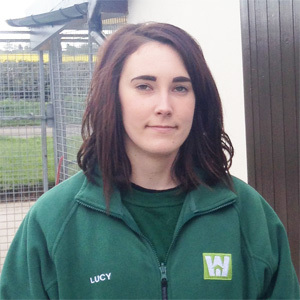 All facilities have been purpose built with your pet in mind. 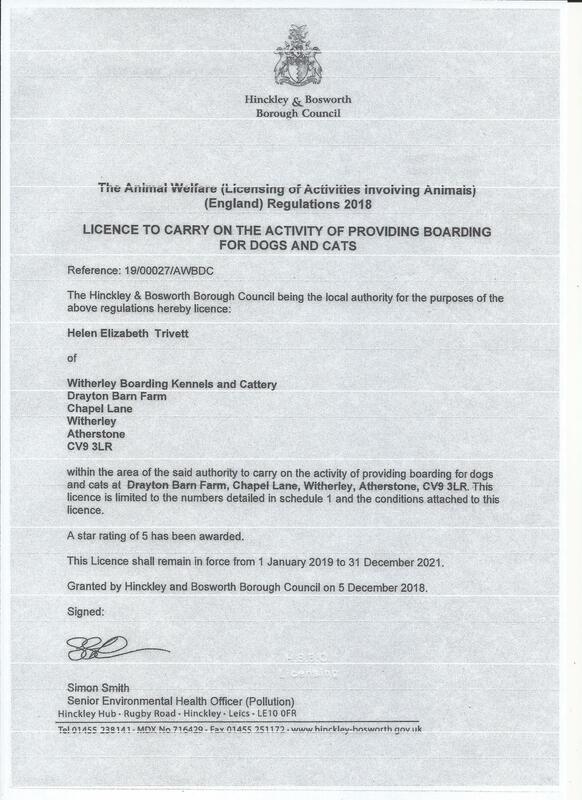 Hinckley and Bosworth Borough Council have accredited and approved Witherley Kennels and Cattery for almost 50 years, and carry out regular inspections throughout the year. 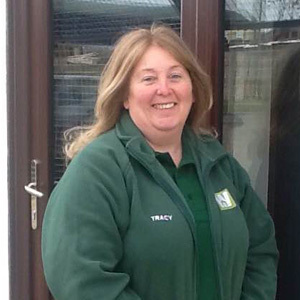 The Hinckley and Bosworth Borough Council has awarded the kennels and cattery a 5 star rating. In total, we have 60 dog kennels and 40 cat chalets set in a two-acre site within the farm, for pet guests requiring long or short stays. 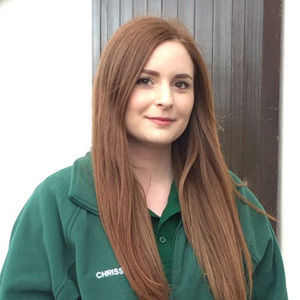 We always ensure your pet has all the attention and exercise it could need, and any special diets will be catered for at meal times. Click here to see our Terms and Conditions of business. Licence no. 18/00034/ANB03 Hinckley and Bosworth Borough Council. Licence can be viewed here. We are very busy at peak times. Please ring the kennels on 01827 713295 for availability.